Happy National Coaster Day! Roller coasters have become an American past time, and even more they’ve become a a family tradition. There’s nothing better than a little scream therapy with your family while experiencing the wind whipping around you, and going over the tallest, fastest rides around. What happens when you have a child that hates coasters? 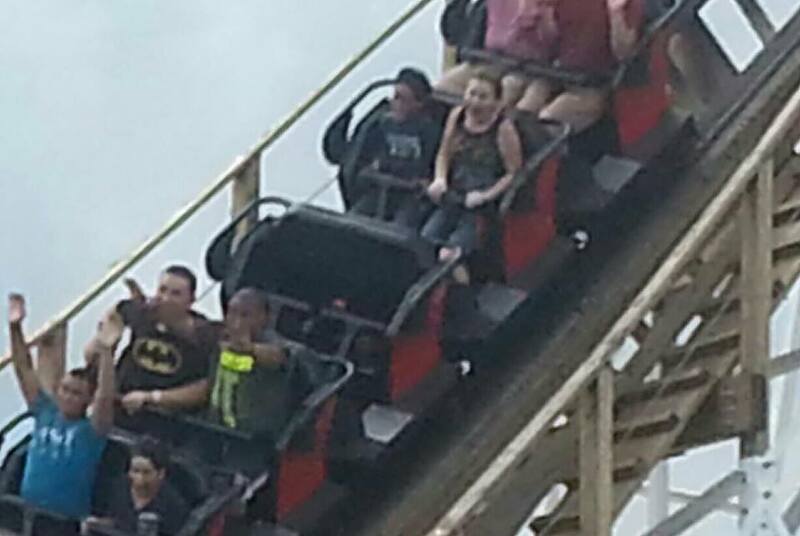 Sometimes that happens, and kids just don’t like coasters. Other times it’s a matter of education, assurance, and most of all fun. 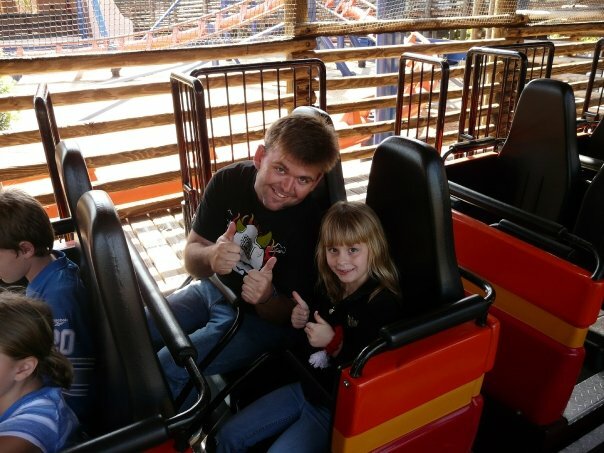 We’ll take you through some tips, stories and ideas that will help you to raise a coaster kid. I am a father of two, a son and a daughter. Ever since the kids have been little, we have been a theme park family. We’ve spent countless hours fighting with superheroes, discovering dinosaurs and experiencing the biggest adventures this side of imagination. My son has taken to coasters like a fish ti water. He has always had a little hesitation, but as long as I was right by his side. ..holding his hand, he was ready to ride. His coaster education started slow, but snowballed the second he hit his first inversion. My daughter is a different story. She had the same hesitation as my son, but where his stemmed from not being sure, hers stemmed from all out fear. If you look at it through a child’s eyes, coasters are horrifying things. They are huge skeletal monsters that stretch hundreds of feet into the sky….and you want to ride on it’s back. Unlike a car or a house, you ride with the elements..no roof to cover you. While a seat belt is like a brick wall in the car, it’s no better than a piece of string when you’re on a coaster through the eyes of a child. Most kids don’t understand physics at a tangible level when they’re younger…but one thing they know-when you go up high you’re going to fall fast. On top of all that, there’s big scary noises. The roar of the train still keepsy daughter from riding Incredible Hulk ar Universal. Plus, when something is scary or bad…people scream. People scream on a coaster too. From a kids point of view, coasters can be intimidating. The problem comes when the rest of the family wants to ride, and one doesn’t. It’s kind of a pain! What do you do? Do you skip the coaster and make everyone else upset? Do you force the kid on and risk years of therapy? Parks have listened, and a lot of the larger theme parks have come up with solutions. Child Swap: This is a godsend. Universal Orlando does this better than anyone else. If you a youngster that can’t, or won’t ride, you let your family get in line and you wait in the child swap area until they get off. Most times the area is right near the exit and you can see them get off the ride. When they are done riding, it’s your turn! Since no-one likes riding alone, Universal will usually let the rest of the family ride again. Ride admittance tickets: Just like child swap, you wait for the rest if the family. You get a ticket to skip the line and ride. This is great at parks like SeaWorld who have big exhibits just outside of the ride. 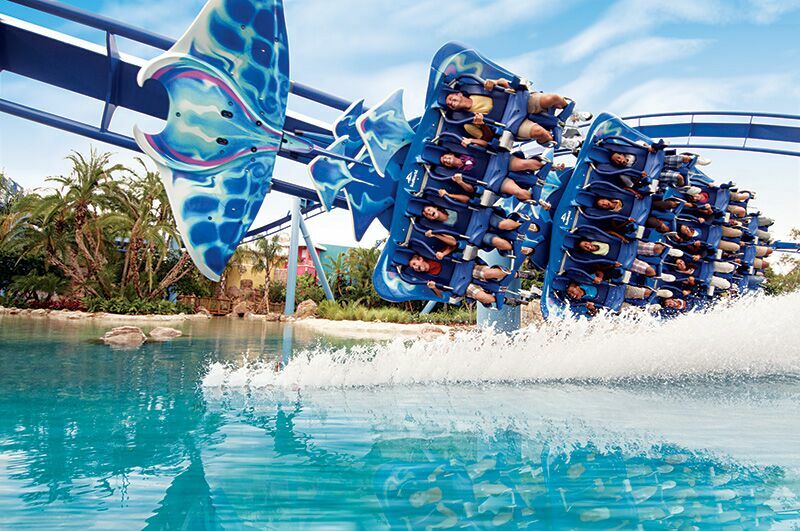 Our favorite is Manta. While the family can go and ride the coaster, the little ones can be amazed and mesmerized by the animals swimming all around them. Play areas: Some parks really don’t do much when it comes to non-riders. However, this is a great time to find your nearest play area, or kid ride and go have a blast of your own. So your kid doesn’t want to ride a coaster…now what? How do you MAKE your child like coasters? The short answer? You can’t MAKE your kid like anything. As most things, the more you tell them to do something, the less they are going to want to do it. So how can you get your child to like coasters? Here’s a few things that have worked for me. Don’t be a bully-You want your child’s first experience on a coaster to be a good one. If you force them into riding, it’s not going to be a good time for anyone. You’ll get mad, they’ll cry and if they ride, they won’t really remember it for the ride, but how you yelled at them. Coaster Credits-Find a website that counts how many coaster you ride and set up an account for your child. Make a game out of it. You can get them excited about getting another coaster on their list, almost like a treasure hunt. These are just some of the things that have worked for us. My daughter is now 12, and has almost 100 coasters to her credit. She still has her moments of doubt, but those are far and few between now. She is a coaster loving thrill geek like the rest. We hope you have a great National Coaster Day! If you have a kid that won’t ride, just give them time. They’ll either eventually come around, or they’ll be the ones holding the bags on your next trip to the theme park!